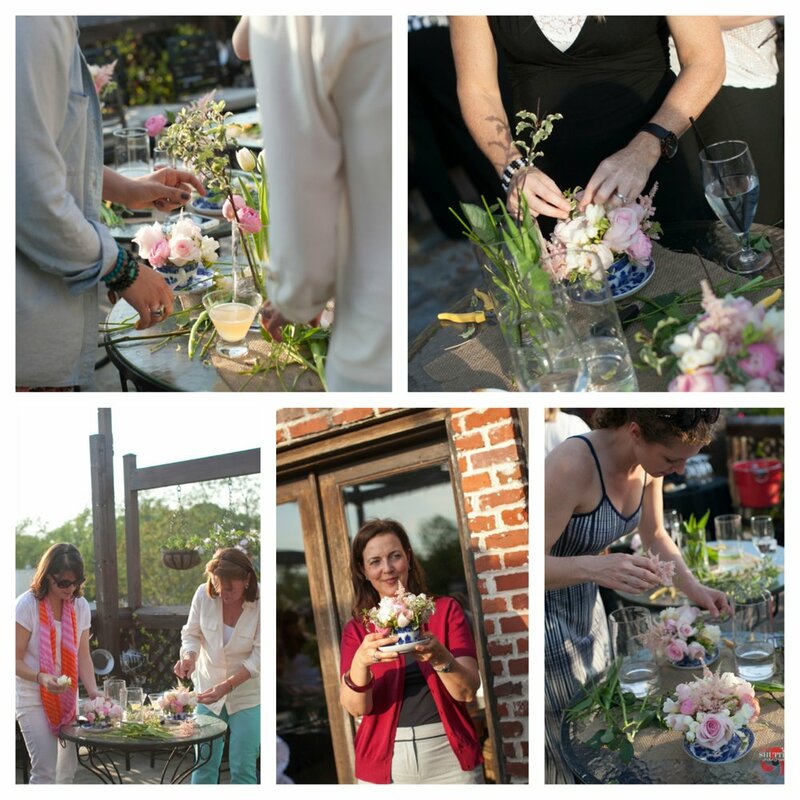 Last week I was invited to lead a Mother’s Day Flower Arranging Party for some special clients of MNI, the targeted division of Time Inc. (and a local, Atlanta company), at the Warren City Club. I was invited because MNI wanted to do something special and different to thank their clients. The idea was to give a demonstration showing some technique for floral arranging, provide an example, and then leave the ladies to their own creativity (with my help if needed) and, of course, to socialize. And boy did they do an amazing job?! 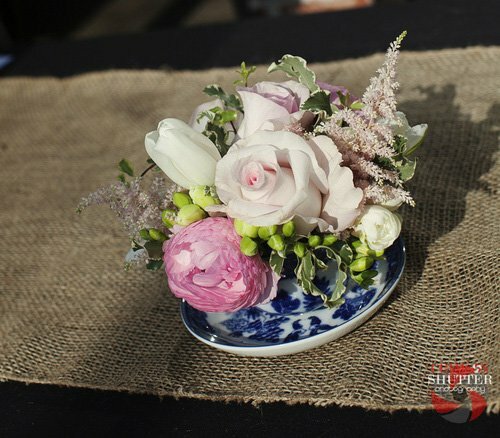 Sometimes, with a little creativity, you can turn the simplest things around your house, like a tea cup, into a beautiful flower arrangement for your table. These women not only had a good time, but went home proud of their newly acquired skills and were excited to do it again for their next house party. 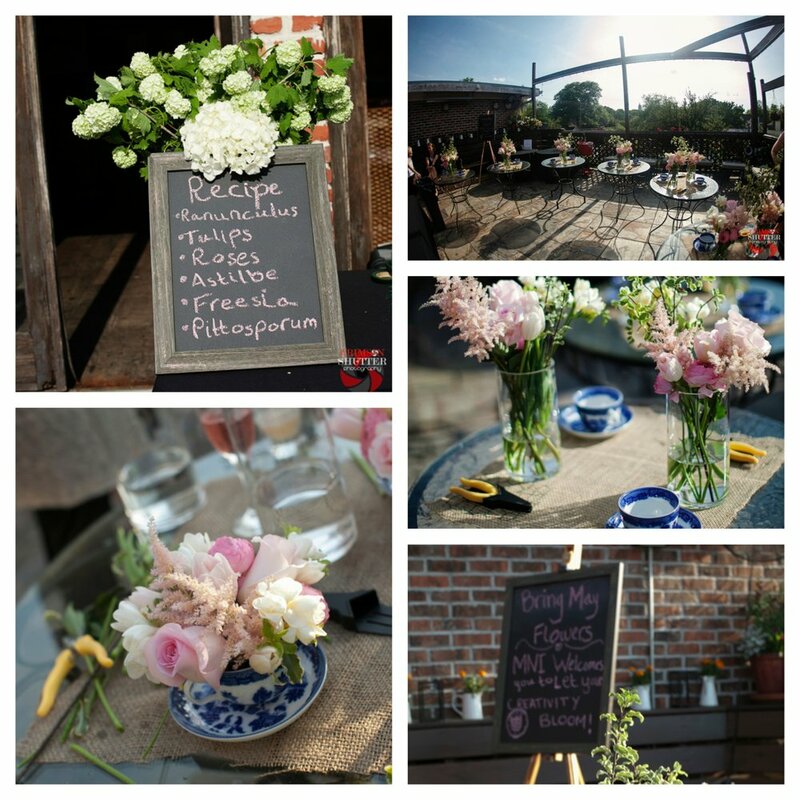 Flower arranging parties are a fun and different activity that can easily be integrated into bridal showers, baby showers, birthday parties, bachelorette parties/weekends and even corporate parties. And the best part–we come to you!